Description: SOUTHAMPTON Series is a pre-cut 18″x18″ Porcelain Tiles with an hydraulic design. 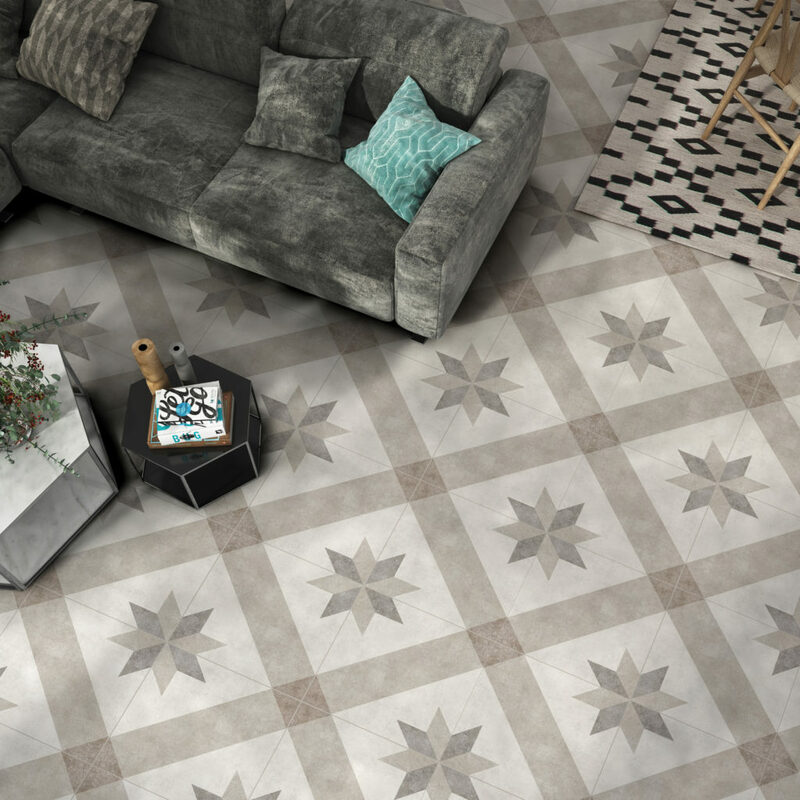 Hydraulic tiles have a large history, they were created about 100 years ago by hand and covered the most sophisticated houses, as they were very expensive in that times. The first hydraulic tiles were made of cement, but they disappeared with the time, as they required a lot of maintenance ( the original cement tiles need to be waxed every 6 months) in order not to be damaged and stained. Grupo Halcón now offers the best hydraulic designs with zero maintenance, made of highest quality porcelain with 100% guaranty against stains, abrasion and loss of color for decades.